From directional drilling to flow-back operations, Bridge Tool & Die manufactures the key components needed for quality performance. Regardless of what particular area of manufacturing you're involved in, chances are carbide is utilized in the production of a component or end use application. However, when it comes to the oil & gas industry, carbide wear components are critical to safe and sustainable operations. From directional drilling to flow-back operations, Bridge Tool & Die manufactures the key components needed for quality performance. A number of our current oil & gas customers switched to using our technology in their applications because of the increased resistance to wear. When you have extreme wear, you need extreme durability. 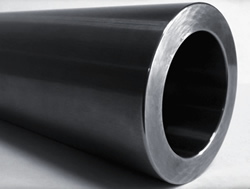 We are able to provide this added value wear resistance through our in-house grinding and polishing technology. Are you interested in learning more about carbide in the Oil & Gas industry? Connect with us and we'll be happy to send you our Energy Brochure and discuss your wear solution needs!